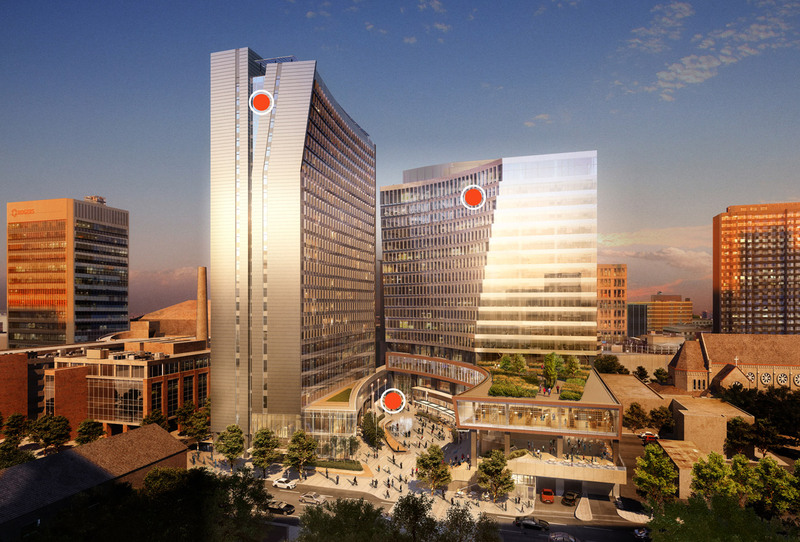 The iconic buildings and plaza that make up True North Square. 242 Hargrave sets a new standard for Winnipeg’s office market. It is the first privately-developed office tower built in downtown Winnipeg since 1990 and the only A office space in the city. With iconic architecture, floor to ceiling glass, flexible floorplates, and advanced technology, heating, and cooling systems, the building provides an unparalleled experience for tenants and visitors. Exciting retail offerings and green spaces heighten the experience of comfort and well being. The tower is 17 storeys tall and opened in June 2018. The plaza space between the two towers has been thoughtfully designed for the enjoyment of residents, tenants, and visitors alike. It features landscaping, benches, a water feature, and grand staircase. Planned to maximize sunlight and protect from winds, the plaza is intended to be used daily as well as accommodate a host of exciting events. As the new standard for rental living in Winnipeg, 225 Carlton has been designed with the most discerning resident in mind. 194 suites, a welcoming lobby, a penthouse amenity floor, and concierge services all contribute to a new lifestyle in the heart of downtown at True North Square. 225 Carlton also features retail offerings on levels one and two, and unique, boutique office floorplates on levels three through seven. The tower is 25 storeys tall and will open in spring 2019.